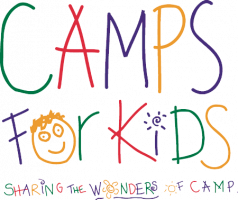 CHD Families Camp Systole is a medically supervised, free, day and overnight camp for children ages 6-15 years living with congenital heart disease, as well as additional programs for their families. The children who attend Camp Systole may not be eligible for other camping experiences due to the medical supervision and care they require. Many of these children have had several open-heart surgeries, pacemakers, and/or heart transplants, and they may face more surgeries in their futures. This population of children and their families face adversity every day and know that they are at high-risk for mortality. Camp Systole would give these children a chance to be “normal”, to forget about their disease and have a camp experience in a safe and welcoming environment. They also will be able to connect with other kids with whom they share unique life experiences, surgeries and scars. For some children this might be their only chance to experience an overnight stay away from home. Parents of children with these heart conditions often have anxiety about letting their children participate in “normal” activities as well, and having a medically supervised camp is comforting. A place like Camp Systole is a place where these children and their families can get away from the everyday stressors of their life, where they can share the emotional, mental, and social challenges of their lives with others who have similar experiences, and where they can be empowered with increased self-esteem and knowledge about their disease. 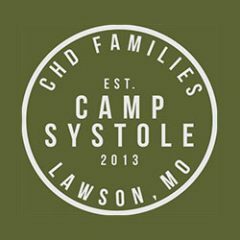 Camp Systole is an outreach activity of Congenital Heart Defects Families Association, a Kansas City area not for profit. Our campers are changed by the unique experience of interacting with the peers, like them, with congenital heart defects. They are able to participate in activities they may generally not do because of parental concerns for their safety. Through a transition walk, they are able to learn more about their own medical history and their futures. Our educational module is based on the chronic care model. After not wanting to be left by their parents at camp, many campers cry when it’s time to go home.